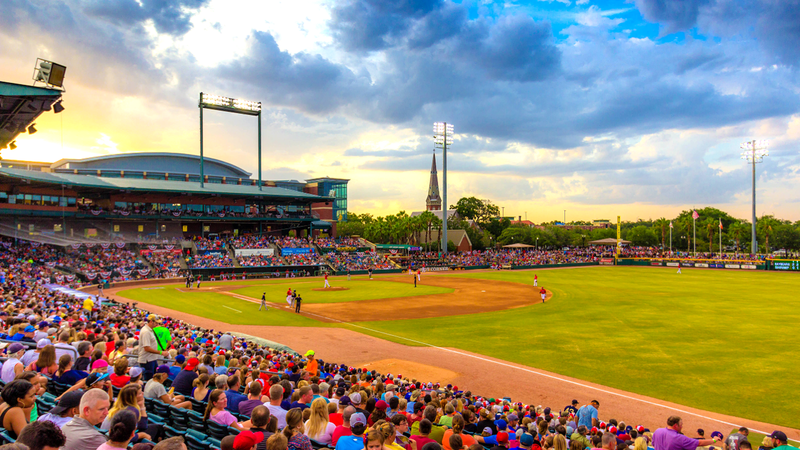 JACKSONVILLE, Fla. - Crustacean Nation can begin the countdown to affordable family fun at the Baseball Grounds of Jacksonville precisely to the minute for the 2019 season, as the Jacksonville Jumbo Shrimp announced starting times for their 70 home games. The regular season for the Miami Marlins' Double-A affiliate begins at 7:05 p.m. on Thursday, April 4, at the Baseball Grounds of Jacksonville. The Jumbo Shrimp's 2019 slate features 42 contests on either Thursday, Friday, Saturday or Sunday. All nine Thursday and 11 Friday home games will begin at 7:05 p.m. Each of the club's 11 Saturday contests will start at 6:35 p.m. Sunday home games will commence at 3:05 p.m., with exceptions on Sunday, June 30 and Sunday, August 25, both of which feature a 6:35 p.m. first pitch. Regular contests from Monday through Wednesday will begin at 7:05 p.m. The Jumbo Shrimp will start at 12:05 p.m. on Tuesday, April 16, Monday, April 29, Wednesday, May 15, Tuesday, June 11 and Tuesday, July 16. The club's game on Monday, May 20 initiates at 11:05 a.m.
A full schedule of home game times is available on www.jaxshrimp.com. Regular gate openings are one hour before scheduled first pitch. Game dates, times and gate openings are subject to change. The Jumbo Shrimp's full promotional schedule will be announced at a later date. Fans can secure tickets to these great dates by booking a season ticket package, mini plan or group outing - beginning at 24 people - by calling the Jumbo Shrimp's front office at 904-358-2846.